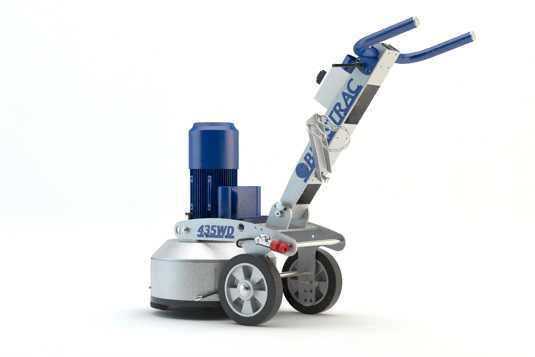 The Blastrac BMG-435WD is the smallest planetary triple head grinder in our range. The BMG-435WD is designed for various sizes of horizontal surface preparation applications. It is an ideal machine for companies dealing with removal of coating, concrete grinding or polishing applications. The BMG-435WD triple head grinder is dust free when connected to the appropriate dust collection system. Blastrac has designed a full range of triple head grinders and diamond products, which give the opportunity to process any floor and any specific application.